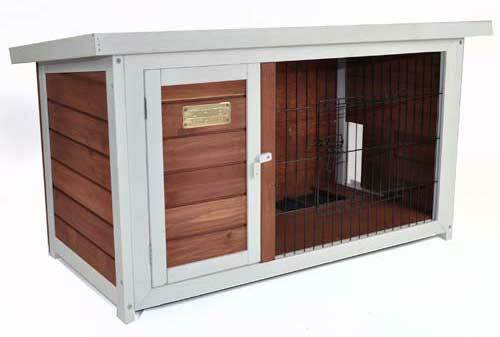 The Pueblo Rabbit Hutch by Advantek is built using strong lightweight FIR lumber. FIR is not just beautiful wood, it is the ideal wood for outdoor use and has been used for centuries in home building. The unique characteristics of this type of wood repels insects and is weatherproof which makes it virtually rot-proof, providing many years of reliable use. We use non-toxic environmentally friendly SGS approved wood preservatives to finish the wood. Our asphalt roofs are also non-toxic and waterproof. This insulating feature maintains an environment that's warmer in winter and cooler in the summer. All hardware used for assembly is galvanized to prevent rust.